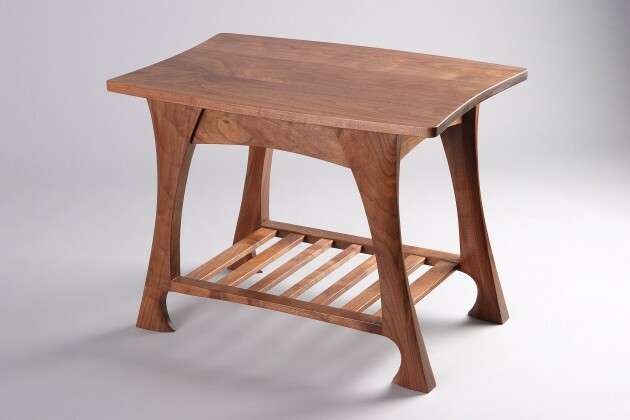 The Morpheus walnut solid wood bed is a contemporary version of a sleigh bed frame with curved, sculptural corner posts. The rails are attached with heavy duty but simple hardware that requires no tools to assemble or disassemble. The bed comes with stout slats to support the mattress (they have been left out of the photo so it is easier to see the bed). 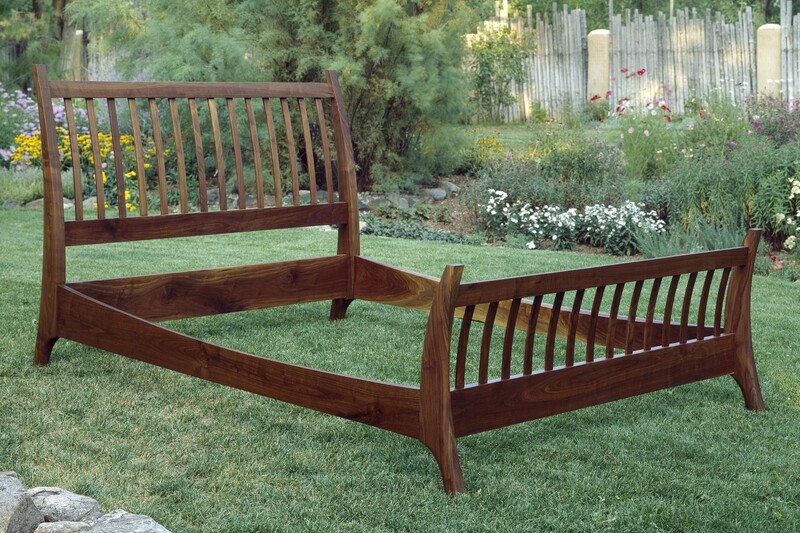 King size beds include a hidden center leg for extra support. 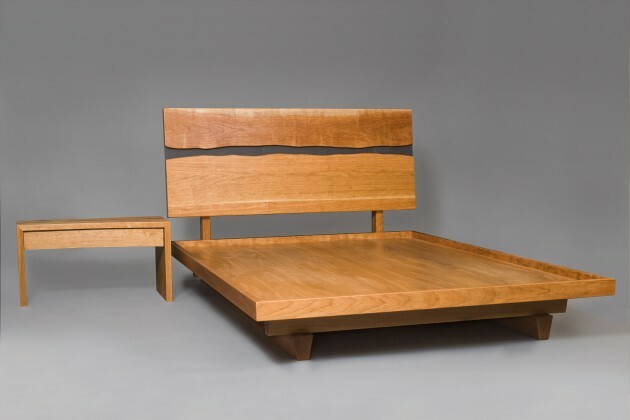 Each bed is made individually and the headboard and footboard can be made to custom heights and from your choice of wood. Related nightstands are available.